There are many options available in Arizona for specialized license plates. 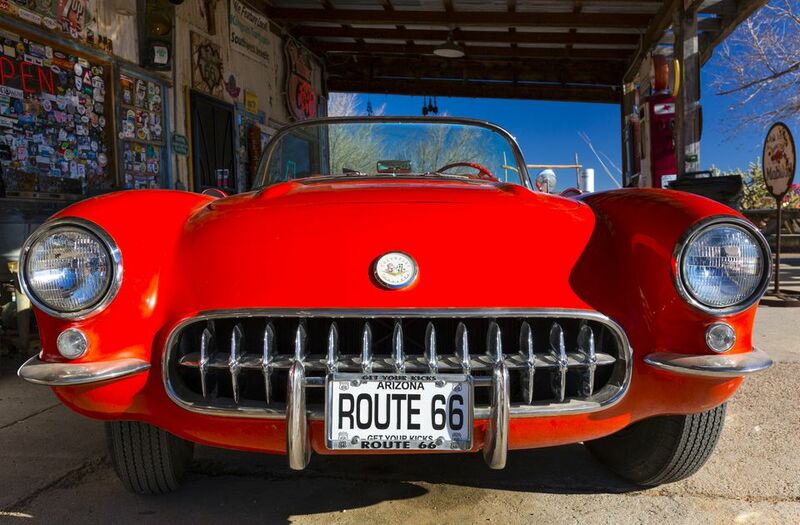 With more than sixty types of vehicle license plates in Arizona, you can adorn your vehicle with a Pink Ribbon/Cancer Awareness plate, an Arizona Diamondbacks plate, or a Keep Arizona Beautiful plate. The most popular plate is, of course, the one that carries no extra charge. The standard passenger license plate has seven characters, assigned by the Motor Vehicle Department ("MVD"). If you want to get a specialty plate, there will be an annual charge. To personalize your plate you may request a maximum of seven characters that may be any combination of numbers, letters, and spaces. No punctuation or symbols are allowed. All choices must be approved by MVD. Those choices for license plates that are considered inappropriate by MVD will be declined. You may keep your personalized or special license plate even if you sell your car. However, it is not required; If you had a plate like "SWAAV8R" and you are no longer employed by Southwest Airlines as an aviator, you might want a different plate! To obtain a regular owner or motorcycle plate there is no additional fee. The regular registration procedures apply. There are several types of plates where part of the special fee goes to the related cause. Examples are the Child Abuse Prevention license plate, the Pet-Friendly/Spay Neuter plate, the Childhood Cancer Research plate, and the Environmental license plate. There are two types of handicapped plates. The Permanent Disability Plate or Placard and the Hearing Impaired Plate or Placard do not require an additional fee, but a special application approved by a physician must be obtained. There are plates that honor or recognize the owner of the vehicle, such as Purple Heart, Congressional Medal of Honor, Veteran, Pearl Harbor Survivor, and Former Prisoner of War. Most of these have fees and require evidence of eligibility. There are special license plates that relate to the status of the vehicle, such as Farm Vehicle, Horseless Carriage, Historic, Classic, and Street Rod. There are three special plates relating to the three state universities in Arizona: ASU, U of A, and NAU. Part of the fees for these plates goes to the school's scholarship fund. Several other colleges/universities offer plates available to alumni of those institutions. If you want a personalized plate, you can determine whether the desired text has already been issued via the personalized plate search. Once you have determined the special license plate you'd like, you can apply and pay for one online. You can apply in person for your special plates. Here's the list of MVD Offices in Maricopa County. If you need more information, you can call MVD Monday through Friday from 8 a.m. to 5 p.m. In Phoenix (602) 255-0072, in Tucson (520) 629-9808, elsewhere in Arizona 800-251-5866. There is a first-time application fee as well as an annual fee for vanity and personalized plates. To see all the available vanity plates in Arizona, visit MVD online. When you sell or otherwise dispose of your vehicle, you might want to keep your license plate. It does not have to be a personalized license plate; any plate may be transferred to your next vehicle. In many cases, you get to keep the fees that you paid, for the prorated unused portion. There are many transactions that can be handled online, without ever having to take the time to visit a Motor Vehicle Department ("MVD") location. When selling or disposing of a vehicle, take the license plate off the vehicle. It belongs to you; it does not belong to the vehicle, nor should it stay with the vehicle. Within 30 days you must either transfer the plate to another vehicle, or turn in the plate, or submit a signed statement that the plate was lost or destroyed. Your registration expires immediately upon sale of the vehicle. You must complete a sold notice. That sold notice protects you from liability if the car is subsequently involved in a crime or is abandoned. You must visit an MVD office or an authorized third-party service provider to transfer the plate and register the vehicle. That cannot be done online. If you must drive the vehicle to complete this transaction, you must obtain a Restricted Use 3-Day Permit (for private sales), or a Temporary Registration Plate (for vehicles purchased from a licensed dealer). You can purchase a Restricted Use 3-Day Permit at ServiceArizona if you have a credit card or debit/check card. If you transfer the plate to another vehicle, you may be eligible to receive credit for fees previously paid on the vehicle that was sold. Your credit reduces each month that the registration is not used. You can find out how much of a plate credit is available at ServiceArizona. There is a service fee. If you need to go to an MVD office, plan to spend some time. Try not to go at the very beginning or the very end of the month. Avoid Saturdays if you can. You may also be able to get special plates at an authorized satellite office. You'll pay a higher fee, but you'll probably save some time. Some people never remove the license plate holder provided when they pick up their car from the dealership. Dealerships all put a license plate frame on the back of the vehicle. After 2009, automobile dealerships, aware of the law, redesigned their promotional license plate frames. Why? Because effective January 1, 2009, Arizona requires that an Arizona license plate on a vehicle must be clearly visible and that the word "Arizona" at the top of the plate may not be covered. C. A person shall maintain each license plate so that the name of this state at the top of the license plate is not obscured. The obvious target here is a license plate frames that cover up part of the plate. Clearly, the law also applies to license plate frames from other sources, like universities, sports teams, etc. The law is specific to Arizona and does not apply to license plates from other states, so if you brought your vehicle here when you moved and got your new Arizona plate from MVD, make sure that you don't obscure the state name. In 2017, Arizona also passed a law specifying that covers that obscure any part of the license plate (presumably so the vehicle can't be identified by photo radar or red light cameras) are illegal. Typically, an Officer will only issue a citation (ticket) for an obscured Arizona license plate if you are stopped for violating another motor vehicle law. The fine, depending on which city/town you are driving in when you get pulled over, could be $150 or more. What Does an Arizona Driver's License Look Like? How Much Money Do People in Arizona Make? They're Fast. They Score. The Arizona Rattlers. Where Are Arizona's Best Nudist Resorts?